I never cared what anyone thought… until I started to slowly, then rapidly, stop trusting myself. It started when I surrounded myself with lots of “fabulous” people who liked to subtly criticize me. I ate their words. I took on the uncertainty. It spiraled into being very unsure of myself in many other ways. So… I let psychics tell me the future, I asked friends in fashion what to wear, I let my hairstylist pick my hair color, I let everyone else weigh in on my love life, my career, my travel… even my religion. 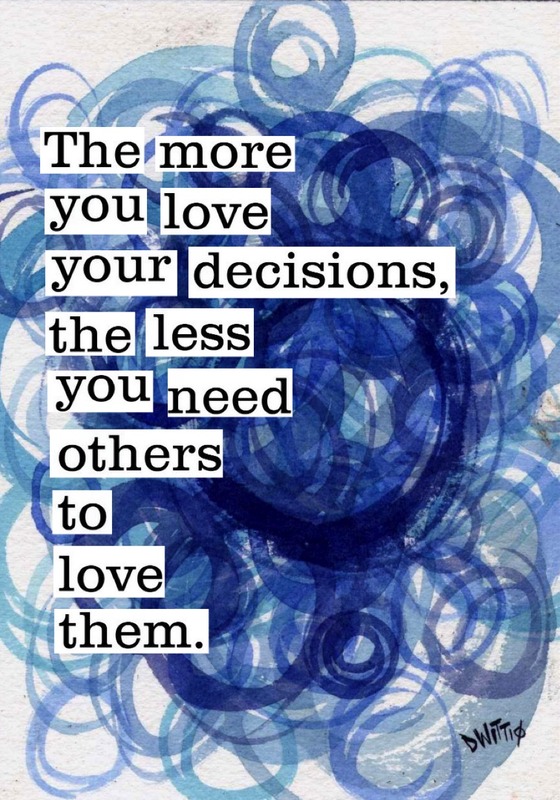 I wasn’t in love with any of the decisions I was making, so I looked to other people to make them feel more “right.” It started so slowly and so quickly I was undone. Utter and complete hell. Previous post: Design A Dreamy Lounge Space At Home!